Recently, Bank of America, Chase, and Citigroup joined Capital One and Discover in banning cardholders from using them to buy cryptocurrencies. Credit cards were one of the most popular payment methods because of their relatively low fees and instant transaction rates, and investors are having to look at other options to make their investments. With credit cards no longer being a reliable option, what are the best payment methods to buy Bitcoin? Each method has its perks and drawbacks, so it really comes down to what your priorities are when buying. This option is most similar to using a credit card but without the associated risks of interest rates. You can use a standard debit card that is connected to your checking account, or you can buy a prepaid card. Using a debit card is widely accepted on most exchanges and instantly transfers, meaning you won’t have to worry about Bitcoin prices fluctuating before the transfer is complete. Connecting your bank account through an ACH transfer is a versatile option, allowing you to use a checking or savings account to buy Bitcoin or cash out when you want to sell. You’ll also be able to purchase a substantially larger amount of Bitcoin because of their higher buying limits. Just keep in mind that it can take up to 5 days for the transfer to be complete, and the value of Bitcoin can drastically change in that timeframe. 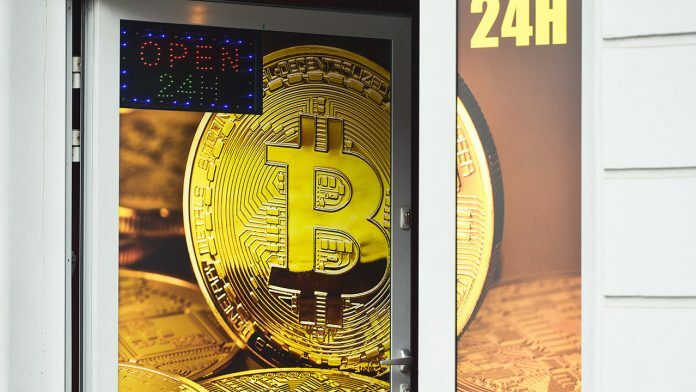 A rising trend in the world of cryptocurrencies, Bitcoin ATMs allow users to purchase Bitcoin with cash through machines that work almost identically to standard ATMs. With over 3,000 Bitcoin ATMs scattered across the world (primarily in large metro areas throughout North America and Europe), you can use search tools such as Google Maps or Bitcoin ATM Radar to find one close. Just remember that while Bitcoin ATMs have low processing fees, they also have a low buying limit. If you are wary of using your own funds to invest in Bitcoin, loans are an option. You can borrow money from a family member or friend, or you can use a peer-to-peer lending platform like SoFi to leverage funds for Bitcoin investments. However, be cautious when borrowing money for an investment. Interest rates can eliminate any gains you get from the investment, and the risk of losing money in such a volatile market is high. The appeal for many is the fact that Bitcoin is decentralized, meaning no specific group or governing body has control over it. Instead, it is secured by advanced cryptography, a set of military-grade encryptions, and regulated by a network called the Blockchain. The Blockchain acts as a digital ledger, confirming buyer/seller funds and establishing the order in which transactions take place. But what makes decentralized currency such an appealing investment? How to buy or invest in Bitcoin? While the number of companies and industries that allow cryptocurrencies to be used to pay for goods and services is constantly increasing (you can use Bitcoin to pay for some things on Expedia and Microsoft, for example), the vast majority of people who buy Bitcoin or other popular cryptocurrencies still primarily use them as long-term investments. Cryptocurrencies are a new market (Bitcoin was first introduced less than a decade ago) and therefore an extremely volatile investment. 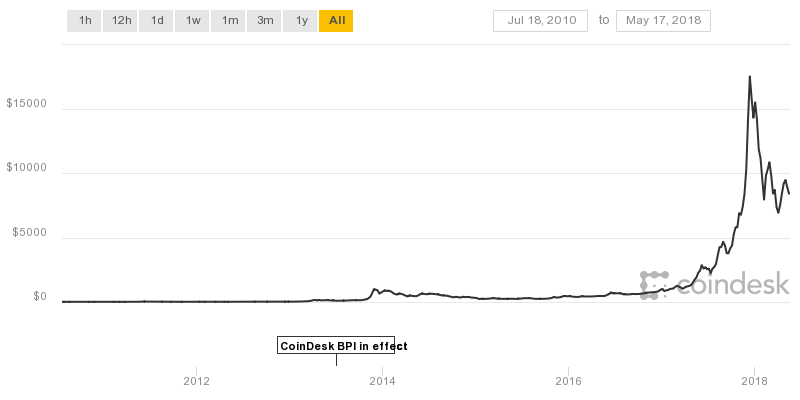 In this pricing graph from Coindesk, you can see how the price of Bitcoin has fluctuated since it first debuted almost a decade ago, down to daily changes in value. Overall, the USD value of Bitcoin didn’t really take off until the summer of 2016, when it started skyrocketing. By December of 2017, it hit $17.5K USD for 1 BTC. Since then, there have been a series of smaller peaks and crashes.The constant fluctuation in value can make it difficult to determine the best time and method to buy, which is why we’ve compiled a step-by-step guide to help you navigate the world of Bitcoin responsibly. Hardware. These are physical devices that look similar to a flash drive. If you are planning on buying high-value Bitcoin for a long period of time, this type of hardware is the way to go. Because they’re offline and completely controlled by you, they’re the most secure option for long-term storage and large sums of Bitcoin. Online Storage. Websites like GreenAddress act as an online wallet for users. While this is a convenient option for those looking to quickly buy and sell a small amount of Bitcoin, keep in mind that wallets that live entirely online are far more likely to be hacked than hardware or apps. Apps. Probably the most popular form of Bitcoin storage, wallet apps can be downloaded onto your smartphone or tablet. Samourai and Mycelium are solid options for Android users, while Breadwallet and Edge are the best options for iOS users. Desktop. These wallets combine the technology of hardware and app wallets. You download an application to your computer’s desktop, allowing you to use your house your Bitcoin wallet digitally, yet offline. Electrum is currently the top desktop wallet available. Next, you need to sign up for an account with an exchange. A Bitcoin exchange is an online marketplace where Bitcoin is bought and sold. There are a lot of different options out there, but make sure that the exchange you choose is reputable with a solid number of users. Bitcoin used to be a way to anonymously send currency, but most exchanges now require identity verification before you can buy or sell. Transactions still offer slight anonymity, but Coinbase (and many other exchanges) are required by U.S. compliance laws to have a record of users on their platform. This step is easy and usually just requires photographing your photo ID and a phone number for two-step verification. Verification can sound like a hassle, but it keeps the exchange protected from black market transactions, making it a safer space for everyone to buy and sell. Lastly, you’ll have to connect a payment method. For years, credit cards were the most common way to pay for Bitcoin. Recently, however, credit card issuers and some international governments have put strict regulations on using credit cards as a buying option. Most credit cards are no longer accepted as a method of payment, meaning people have had to look into other options. We give you an overview of the most common methods of payment below to help you decide which is the best option for your investment. From there, you’re ready to buy and sell Bitcoin based on the current market value. Rather than paying for a set amount of Bitcoin, you will tell the exchange how much money you want to trade, and they’ll break down how much Bitcoin you can buy. Unless you’re investing thousands of dollars into the cryptocurrency, you’re likely to be buying a fraction of one Bitcoin. At the time of this article, the price of 1 BTC was around $9K. But don’t worry if you’re not ready to invest that much. You can purchase as little as one-millionth of one Bitcoin (0.00000001 BTC), also known as a Satoshi. Bitcoin (and all other cryptocurrencies) is an extremely volatile investment. While any investment is a calculated risk, a market as constantly fluctuating as cryptocurrencies poses a higher level of risk. Investing responsibly can minimize large losses while helping ensure you have the best chances of a positive return. Never invest more than you can afford to lose. This is a valuable piece of advice for any market, but it’s especially true for Bitcoin and other cryptocurrencies. While the hype behind Bitcoin is positive, there is no guarantee of a good return. The value of Bitcoin could soar tomorrow only to crash next week. Know your goals and strategize accordingly. Are you looking to use Bitcoin as a currency to exchange for certain goods and services? Are you wanting a quick turnaround investment? Or are you wanting a long-term investment that will rise in value over time? There are different buying and selling strategies that work best for each goal. Choose trusted wallets and exchanges. The hype surrounding the cryptocurrency market has led many people to jump in headfirst without checking whether they are doing business with reputable sources. As the market starts to settle in the coming years, it’s likely that up to 80% of the wallets and exchanges currently in business will disappear. Don’t make an already risky market worse by choosing an untrusted wallet or exchange. Avoid borrowing money. One of the drawbacks when credit cards were the most popular way to pay for Bitcoin was the concept of borrowing money on such an unpredictable investment. When you borrow money that requires you to pay interest (credit cards and personal loans, for example), you risk having to pay extra for an investment that doesn’t give you a return, which exponentially increases your risk. Be skeptical of the hype. According to Welch, “in every way, the cryptocurrency market is a flow of supply and demand.” It’s one of the reasons it fluctuates so wildly. “When you see a lot of hype and excitement around a volatile investment that depends on supply and demand, take pause and look at what’s really going on.” He advises to take caution when you start to hear phrases like “get it before it’s gone” and “you won’t want to miss out on this.” A lot of hype can often be the precursor to a crash. Pro Tip:If you want to invest, but aren’t keen on using your own funds, consider utilizing accrued interest on a savings account to invest. Compare savings accounts and their interest rates. If you put a lot of money into savings every year, you could fund a sizable investment with just the money the bank pays you in interest. It eliminates your personal risk and maximizes your chances of a return. The best thing you can do to minimize risk and invest responsibly is to do your research. Look into different wallets and exchanges. Find trusted sources to answer your questions. If you need some guidance on how to break into the market, find a firm like IBI or International Blockchain Consulting to help you navigate the constantly fluctuating market. You don’t have to know everything about the cryptocurrency market, but having a handle on the basics of how Bitcoin transactions work, the best platforms and software to use, and the overall trend of the market will help you determine the best strategy for you to maximize returns and minimize the risk of such a new, volatile market. BITCOINS AND CRYPTO-CURRENCIES; IS IT MATURE ENOUGH TO WARRANT REGULATION IN GHANA?